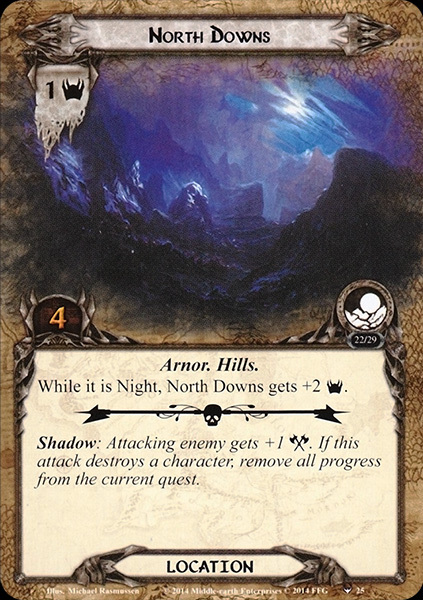 While it is Night, North Downs gets +2 . Shadow: Attacking enemy gets +1 . If this attack destroys a character, remove all progress from the current quest.